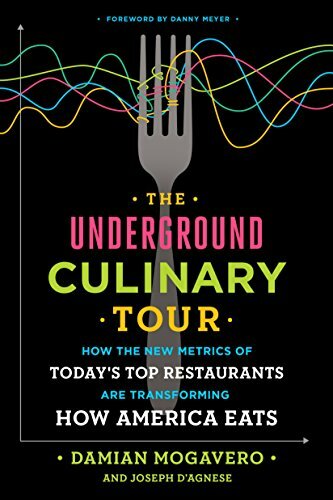 In the bestselling tradition of Moneyball, The Underground Culinary Tour is a high-octane, behind-the-scenes narrative about how the restaurant industry, historically run by gut and intuition, is being transformed by the use of data. 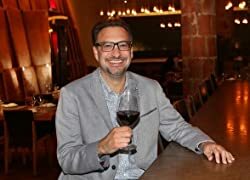 Sixteen years ago, entrepreneur Damian Mogavero brought together an unlikely mix of experts—chefs and code writers—to create a pioneering software company whose goal was to empower restaurateurs, through the use of data, to elevate and enhance the guest experience. Today, his data gathering programs are used by such renown chefs as Danny Meyer, Tom Colicchio, Daniel Boulud, Guy Fieri, Giada De Laurentiis, Gordon Ramsay, and countless others. Mogavero describes such restaurateurs as the New Guard, and their approach to their art and craft is radically different from that of their predecessors. By embracing data and adapting to the new trends of today’s demanding consumers, these innovative chefs and owners do everything more nimbly and efficiently—from the recipes they create to the wines and craft beers they stock, from the presentations they choreograph to the customized training they give their servers, making restaurants more popular and profitable than ever before. Finally, Damian takes readers behind the scenes of his annual, invitation-only culinary tour for top chefs and industry CEOs, showing us how today’s elite restaurants embrace new trends to create unforgettable meals and transform how we eat. From the glittering nightclubs of Las Vegas to a packed seasonal restaurant on the Long Island Sound, from Brennan’s storied, family-run New Orleans dynasty to today’s high-stakes celebrity chef palaces, The Underground Culinary Tour takes readers on an epicurean adventure they won’t soon forget. Damian Mogavero is the CEO and founder of Avero, the international restaurant analytics software company based in New York City, and the author of The Underground Culinary Tour (Crown Business, January 2017), written with Joseph D’Agnese. Cassandra's Review- I enjoy learning about all types of topics, but this one was a little newer to my mind and I had a hard time really getting into the concentrating it takes to really get a good read out of it. I actually found myself more so pushing to finish then actually being excited. It is not that this is a boring book, it just did not connect really with me and my needs at this point in life. I do think that if you need help in this area or love the author, this is going to be a good reading experience.